In the early years of probiotic research, it was common to test probiotics for their ability to adhere. The rationale was that probiotics that can adhere are preferred, as they could stick around longer to confer health effects. The problem with this approach was that regardless of results in these in vitro assays, it seemed that probiotics really didn’t stick around long. Typically, probiotic strains could be isolated from feces for about 2 weeks or so, depending on the dose consumed, their ability to survive through the digestive tract, and their ability to replicate while traveling through. But true colonization of the GI tract was not demonstrated for a probiotic strain—in general, probiotics are transient. This does not surprise microbial ecologists, who expect that the bacteria that colonize us are unique to us. They represent our individual microbiota and occupy available niches. We seem to be very good at excluding foreign (probiotic) bacteria, even of the same species that might exist within us. This was considered a good thing from two vantages. 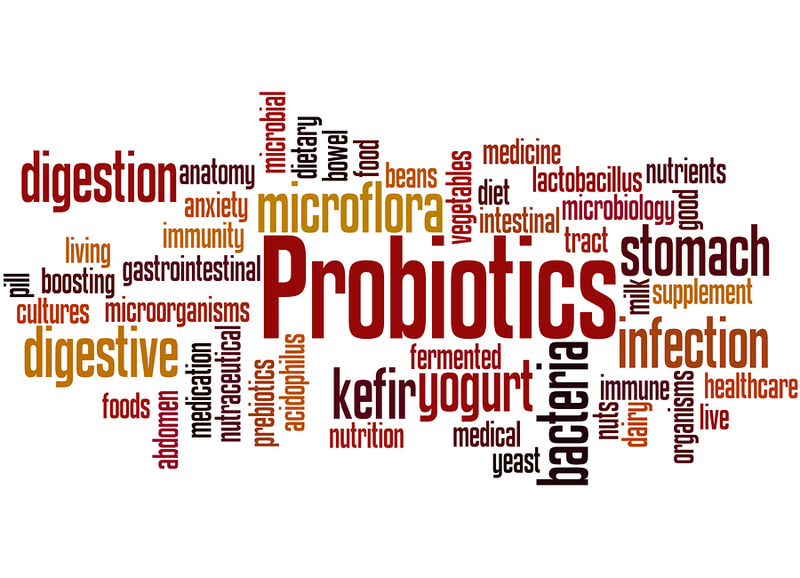 If a probiotic persisted, long-term effects with unknown impact might occur, raising potential safety concerns. Studies longer than the typical efficacy study may be needed to assure safety. Secondly, if you were in the business of selling probiotics, you could count on consumers needing repeated doses of your product. A new study (Maldonado-Gomez et al. 2016) reports that orally administered Bifidobacterium longum AH1206 was recovered from the feces of a large subset (30%) of subjects for over 6 months after feeding had stopped. This study employed a double-blinded, placebo-controlled, crossover design. It showed that subjects who retained AH1206 long term (persisters) possessed a microbiota that was less likely than non-persisters to encode genes for certain carbohydrate metabolism pathways. It seems that AH1206 was able to take advantage of this unoccupied functional niche and provide the host this underrepresented metabolic capacity. Low level bifidobacteria at baseline was also more common among non-persisters, but the underrepresentation of these gene clusters was the more robust predictor of being able to retain AH1206. Authors found that the genes that predict persistence were not conserved among B. longum strains, suggesting that it is the genes, and not the species, that were more important for successful persistent colonization. After colonization by AH1206, the differences in gene distribution disappeared between persisters and non-persisters. This suggests that AH1206 fulfilled an available niche, providing missing genes to the persisters microbiome. Further, the study reported that persisters did not express an altered overall microbiota composition. This is consistent with the findings of Kristensen et al. (2016), who reported that probiotics do not alter the microbiome of healthy subjects. However, the Maldonado-Gomez et al. study clearly shows that a meaningful change in microbiota composition can be achieved by probiotic supplementation without resulting in an overall change in the structure of the microbiota. The persistence of AH1206 is a novel observation, which advances our understanding of how probiotics can impact the microbiota in a targeted manner. There are safety questions that must be considered before using a probiotic strain that can colonize long-term. However, in the case of B. longum, which is a normal colonizer of the human microbiota, it is unlikely that this should raise concerns for general use. Maria X. Maldonado-Gomez, Ines Martınez, Francesca Bottacini, Dan Knights, Robert W. Hutkins, Jens Walter. Stable Engraftment of Bifidobacterium longum AH1206 in the Human Gut Depends on Individualized Features of the Resident Microbiome. Cell Host Microbe. 2016 Oct 12;20(4):515-526.